Don't Hate the Player.... Hate the Game.... Or Is It The Other Way Around? Don’t Hate the Player…. Hate the Game…. Or Is It The Other Way Around? 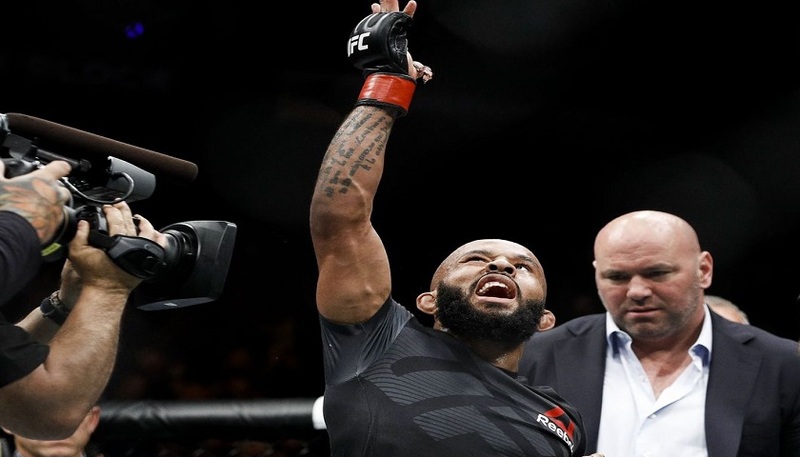 Over the past week there has been quite a bit of unexpected back and forth between the UFC and the organization’s flyweight champion, the pound-for-pound best fighter on the planet, Demetrious Johnson. Aside from the banter between the champ and UFC President Dana White, mixed martial arts fans are even being subjected to speculation of the UFC cancelling the UFC men’s 125-pound division all together. That’s right. Because ‘Mighty Mouse’ is so good and dominating that an entire division may be vanquished due to a lack of contenders. Johnson has tied Anderson Silva for the most consecutive UFC title defenses at 10. But when did the UFC ever consider eliminating the middleweight division? White also stated that Johnson has the lowest selling pay-per-view in the history of the UFC in the modern era. Whether he finishes the majority of his fights or not, there is something about ‘Mighty Mouse’ that fans just are not buying. Maybe it’s his size and stature, maybe it is because he doesn’t talk trash like the Diaz brothers or Conor McGregor. Maybe he comes off too nice and the fans want more out of him. Maybe going heel like in professional wrestling, changing his character just enough to warrant a response, will be the answer. The guy may not have been the most entertaining fighter en route to his impressive title run, but the man is genuine, nice, and willing to talk to most anyone. Super Fight or Not So Super Fight? UFC officials want to book Johnson in a fight against former bantamweight champion T.J. Dillashaw. Mighty Mouse seemingly does not want any part of it and for good reason. But it seems that his reasoning is fire for the UFC to villianize him, turn the fans against him. “I think that a fight between him and T.J. Dillashaw would be something that people would actually be interested in, and could sell pay-per-views and could make money, but he absolutely refuses to fight the guy. It’s ridiculous,” White said. This is the reasoning behind the proposed Dillashaw-Johnson fight, but Mighty Mouse isn’t backing down from him position. So who gets the blame? Is the UFC to blame or is Demetrious Johnson to blame?